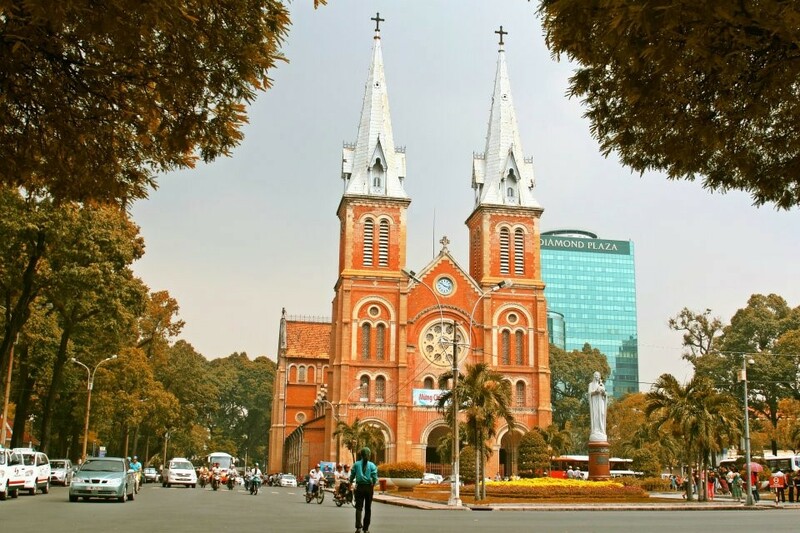 If you’re no longer interested in islands, beaches, ancient towns, let’s visit the highland – Da Lat city, the city of dreamers, romance and peace. 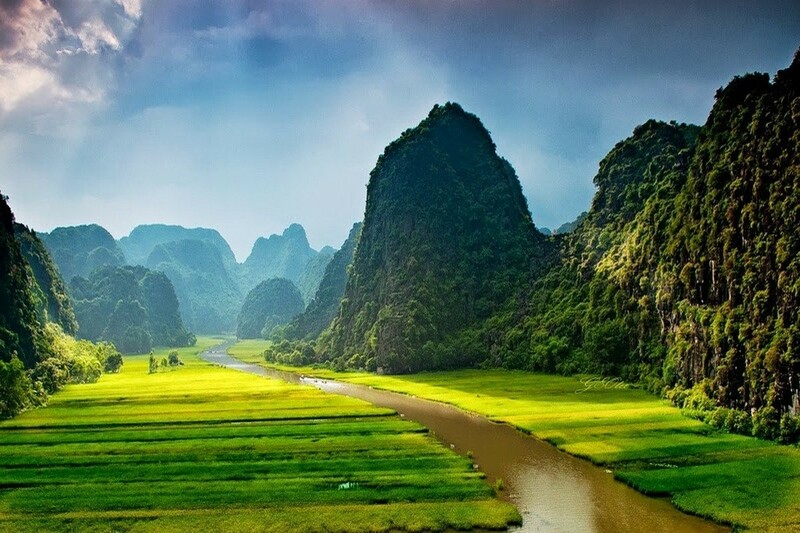 This is a small city in Lam Dong province which is in central highlands region of Viet Nam. 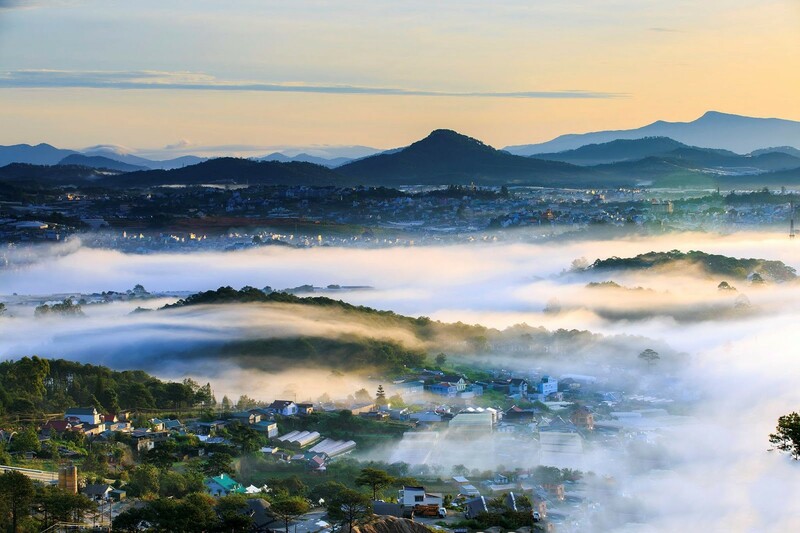 Da Lat city is luckily given attractive natural landscapes by nature and has cultural characteristics. 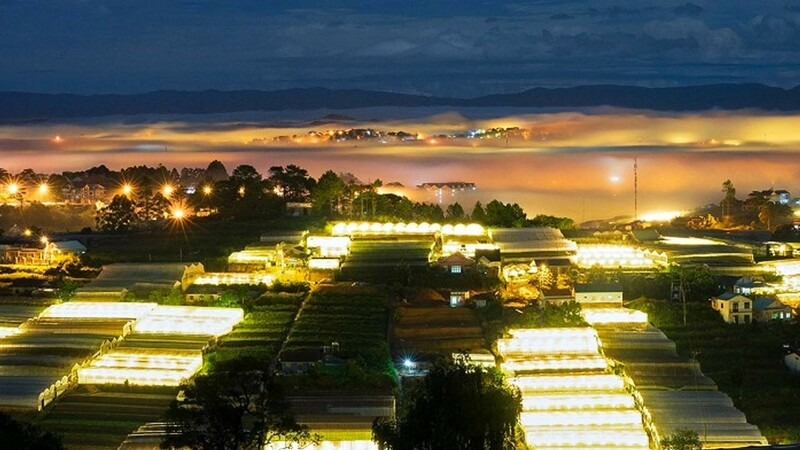 If you are in consideration to look for your next destination, don’t hesitate to come to Da Lat city. 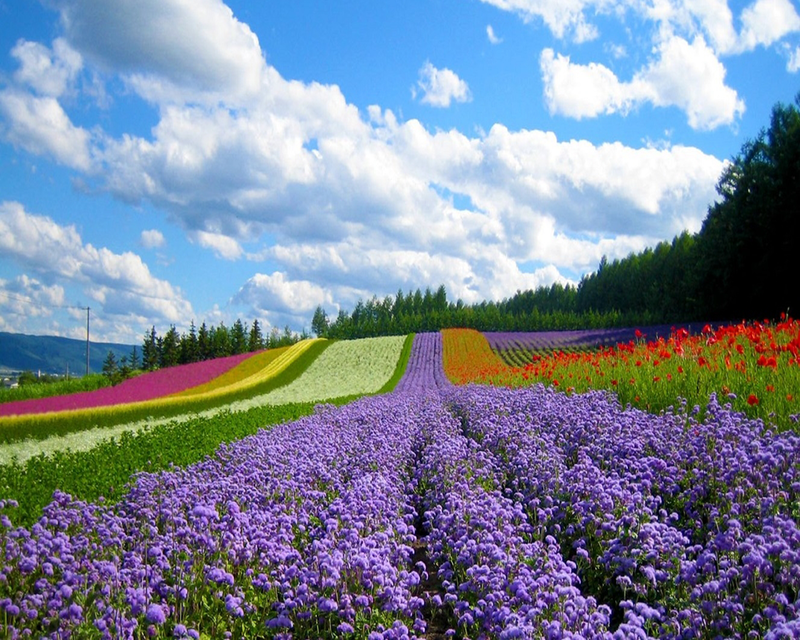 “The city of flowers” is a famous name of Da Lat. There are so many kinds of beautiful flowers which are only planted in the central highlands like Da Lat. For each season, Da Lat has its own beauty with lavender flower, blossom flower, wild sunflower, sunflower…It makes Da Lat become more colorful and brighter. 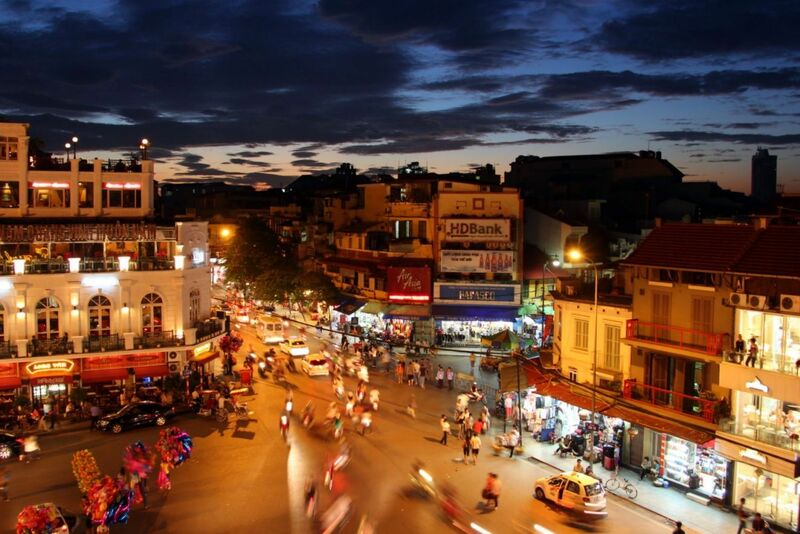 “The city of dreamers” is another famous name of Da Lat. 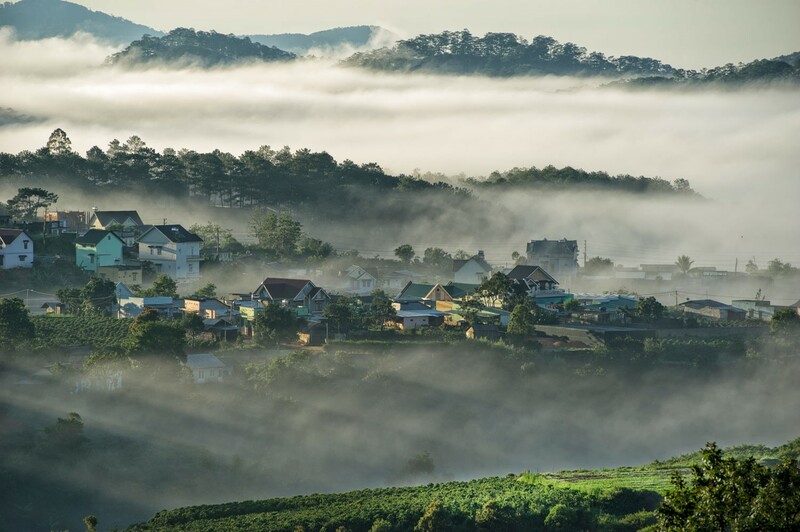 Da Lat is the city for those who love streets, love experiences, know how to feel the present happiness while seeing vast horizon, majestic beauty of nature. Dreamers are honest and faithful people, love Da Lat from the smallest things – wake up early and warmly welcome a new day to the fullest, enjoy a cup of artichoke tea, central highland coffee or a cup of soya milk, have a talk with someone special. Da Lat brings peaceful days to you strangely. The weather here is warm during the year. This place will be probably an ideal destination to enjoy your relaxing time. It’s not too sunny or cold. The coldest season is around 8-15 Celsius degree, from December to February. The other seasons is always warm – the temperature is around 15-25 Celsius degree. 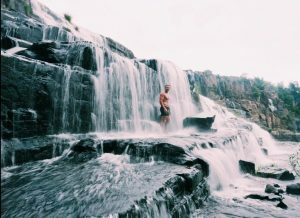 How to come to Da Lat? 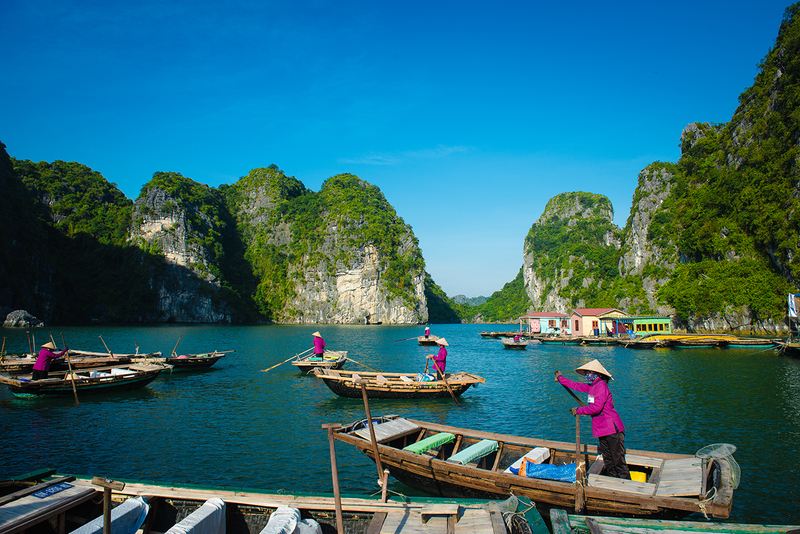 Ho Chi Minh and Ha Noi are two of big cities in Viet Nam. 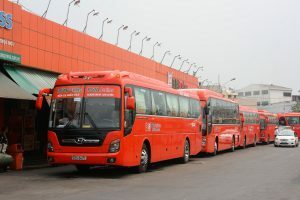 From Ho Chi Minh, you will easily take a bus to Da Lat within 7 hours, you will arrive there after one night. Futa Busline is a good company with cheap price and comfortable seat. 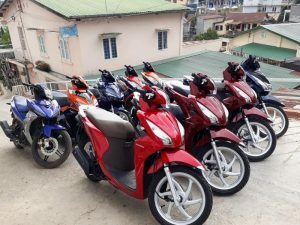 Motorbike is still the best and most convenient choice to go around Da Lat. There are many small streets, alleys, ascents or dangerous areas, so motorbike is the easiest way to get to everywhere you like. 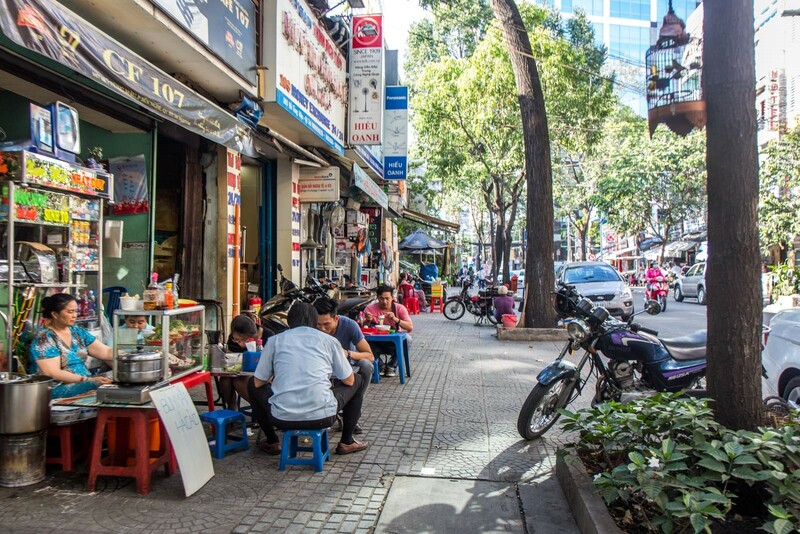 The traffic in Da Lat is not as busy as Ho Chi Minh city, the weather is so warm and comfortable, so walking around the streets or riding a bicycle are good ideas to explore and feel the peaceful beauty of this city. 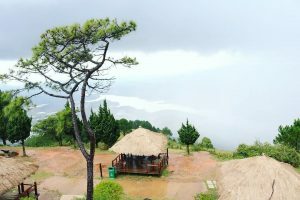 Where should you stay in Da Lat? Accommodation in Da Lat has gradually become more popular for a short holiday, even longer if you really love it. In the central, hostel is a common pattern for travelers, backpackers to stay and walk around the city easily with cheap price and good service. A dorm bed just takes you around 4-5 USD/day and 10-15 USD/day for a private room, breakfast included. In hostel, even you travel alone, but you are never alone. 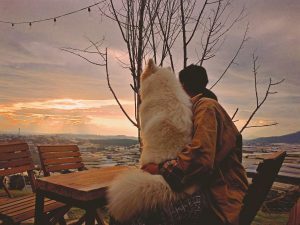 There are so many opportunities to make friends and travel together in a strange city like Da Lat. If not, you can find homestay pattern with beautiful decoration, it’s like a home and so comfortable. 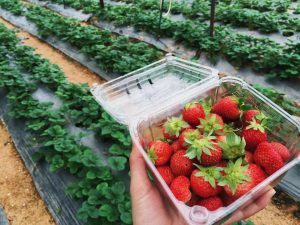 It’s may a little far away from the central, however, it’s not only a place to come and leave, but also enjoy the local life, the beautiful natures or many friendly local people. You can feel free to cook your meal, play whatever you like. Especially, if there is a big garden with many flowers, it will be amazing to enjoy your peaceful days with your friends or partner. There are so many options to have a good place to stay. With only 7-10 USD, you will have a comfortable dorm bed and 20-25 USD for a private room, breakfast included. 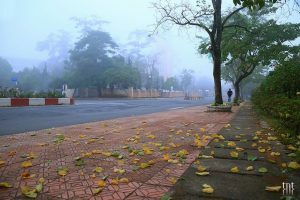 In Da Lat, the warm weather easily makes everyone feel lazy to keep staying or sleeping and don’t want to wake up early. Hope you can try to wake up a little bit earlier to walk around the city, especially Xuan Huong lake to enjoy its quiet, wonderful beauty and see the sunrise. The local people usually do exercise or walk around the lake. 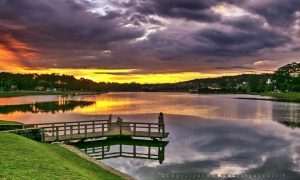 Da Lat’s beauty is showed clearly in the morning time. 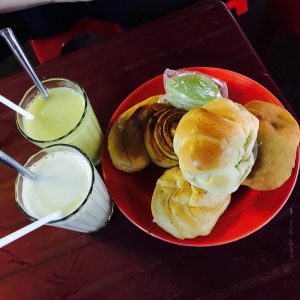 Looking for somewhere to have a hot cup of soy milk and some cake is also a great experience like local people in Da Lat. 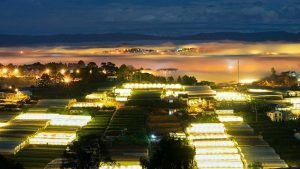 Da Lat is also a famous city of flowers, so you can find some flower farms to see how the local people work in their daily life. 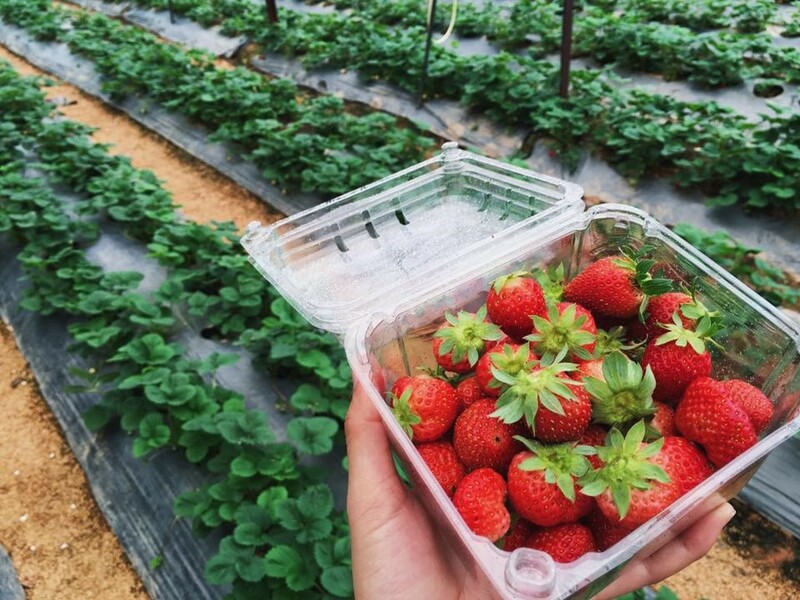 And especially, going to strawberry farms and picking it up directly is also a funny experience. In Da Lat, everything is quite slow, so you don’t need to be rushed to come and leave like others. If you really like something special here, just stay here longer and feel it on your own way. Coffee is the most famous thing in the central highland region. 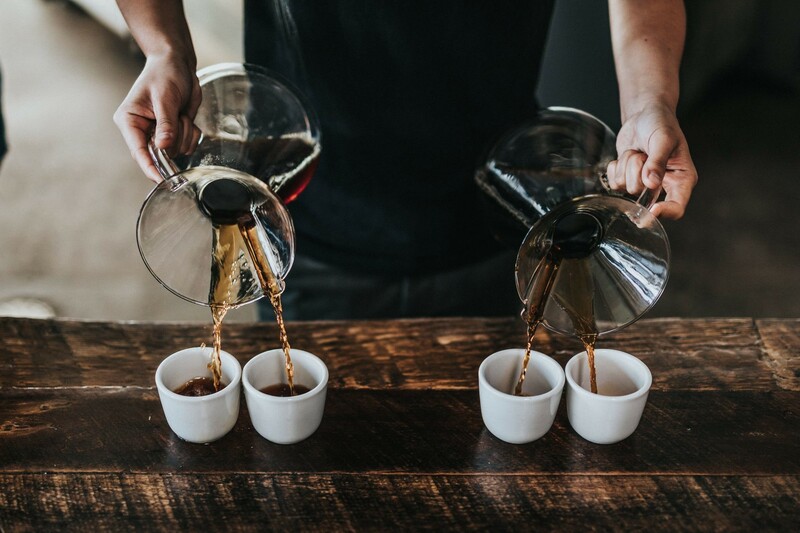 Da Lat is the central city of this area, so whenever you come here, don’t miss Vietnamese coffee, it will definitely bring amazing experiences to you with good taste of coffee. 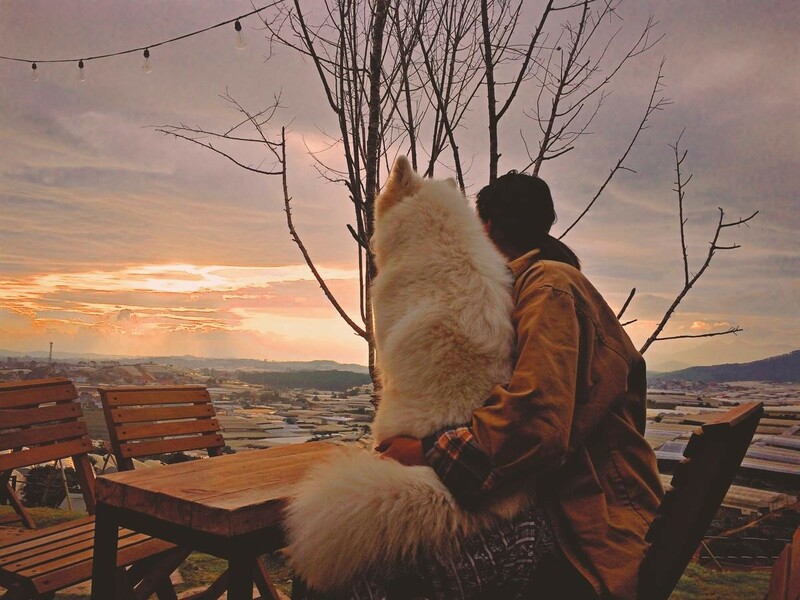 There are so many beautiful places in Da Lat, it would be greater if we choose somewhere peaceful and romantic to enjoy a hot cup of coffee with someone – F Flower Garden is a beautiful and peaceful coffee shop like this below picture. It will take you around 5km from the central. 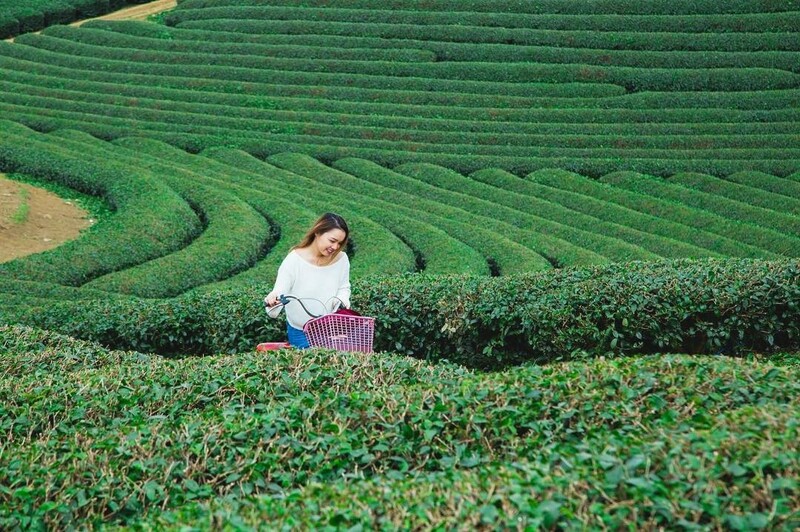 Tea Hill is one of famous things in Da Lat. You can visit Cau Dat Tea Hill to see beautiful landscape and enjoy some Vietnamese tea and coffee. It will take you about 20km from the city central. 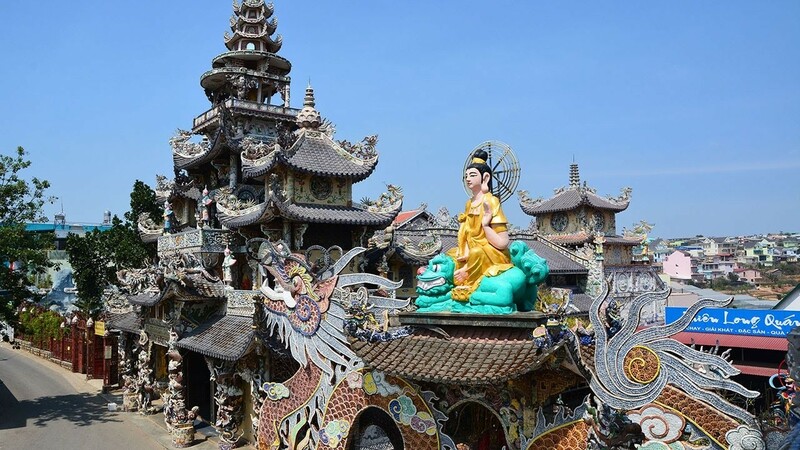 This is the biggest temple in Lam Dong province – it is also a place which attracts many visitors with its own natural beauty. This vast and warm space is still peaceful and quiet, although there are so many people. 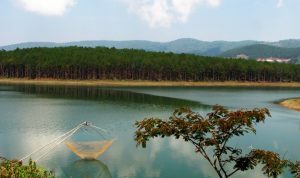 In additional, Tuyen Lam lake is in this temple area, its own serene beauty is another special attraction which makes everyone excited. 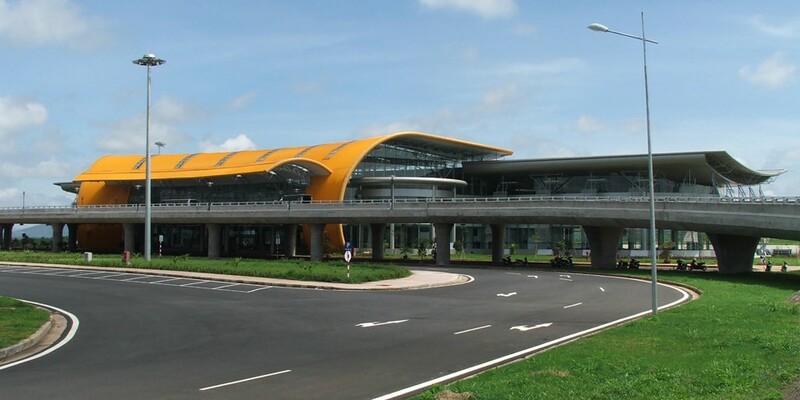 It will take you about 10km from the city central and it is one the same way to get to Cau Dat tea hill. Linh Phuoc Pagoda has a 49meter dragon made by 12.000 glass bottle shells, it is also a famous pagoda which has many interesting things to explore. This is not only the place for beautiful landscape, but also the place which is in validation with many special records. Among them, the story of Muc Lien who is a monk has to go to 18 level of hells to save his mom. This is also an emotional story about piety. 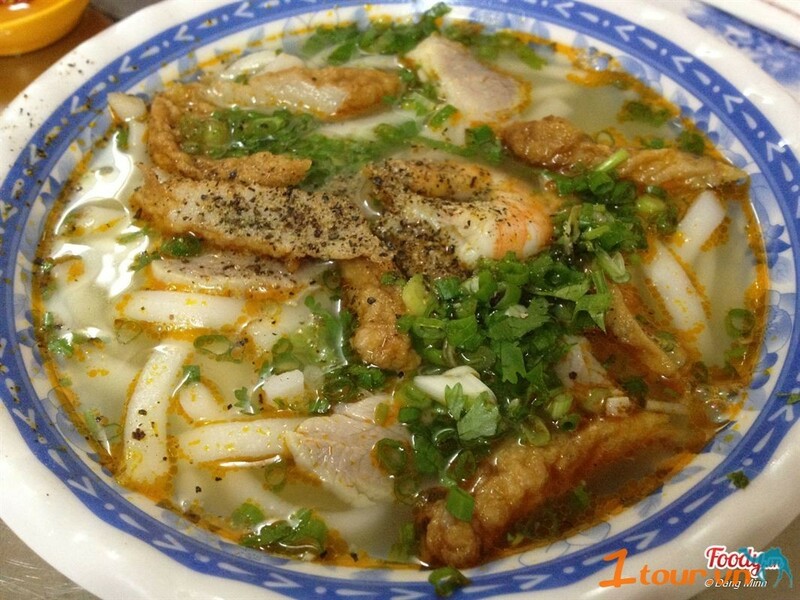 It will take you around 30km from the city central, this place is in Duc Trong town – a countryside area. You can easily rent a motorbike and follow google map to visit here. The most interesting season is spring, in January. Especially is in Mid-January, you will have a chance to join traditional festival of K’ho people – an ethnic minority group. The most beautiful season is between summer and autumn, from July to November, it is the rain season – it would be much more attractive with the strong flow. 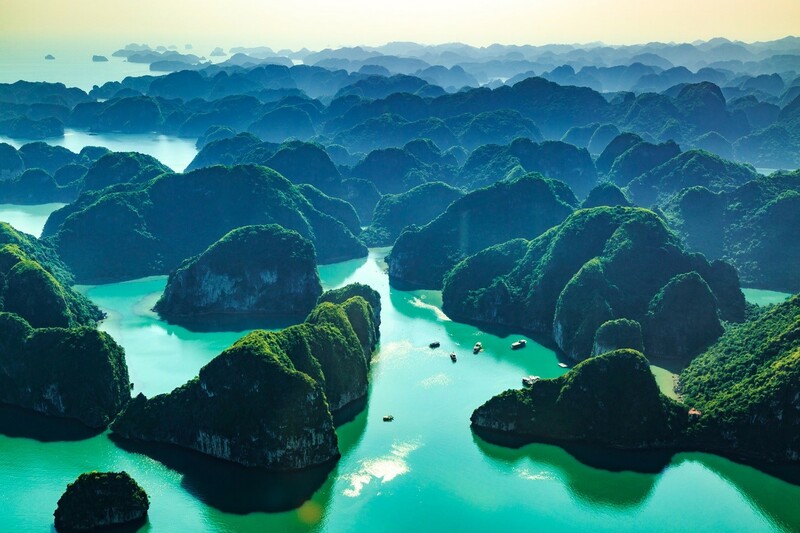 Its wild and peaceful beauty will make you feel enjoyable your amazing time here. Langbiang mountain highs 2167 meter above sea level. At the top of Langbiang mountain, you will be surprised with majestic, windy and vast natural landscape of Da Lat’s beauty. The easiest way is to take a jeep from the bottom to somewhere high enough to see overview. If not, you can also join hiking tour to get to the top of this mountain. 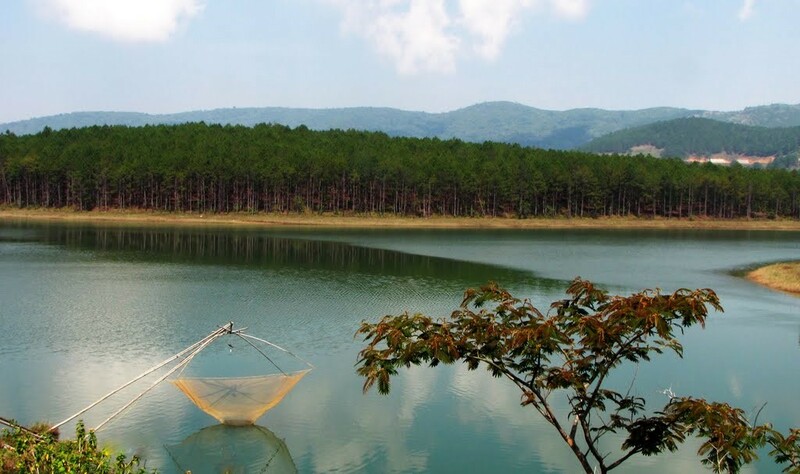 Xuan Huong lake is in the central of Da Lat city. No matter how crowed or empty Da Lat will be, Xuan Huong lake still has its own peaceful beauty, it’s still serene to attract those who love romance and quietness. 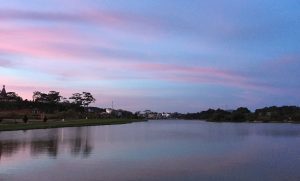 In a windy evening, you can walk around and sit somewhere along the lake with your solo contemplation, Da Lat will probably make your soul more sensitive and help you find what your most meaningful thing is in life. If not, having some drink with someone is also a great idea and experience. 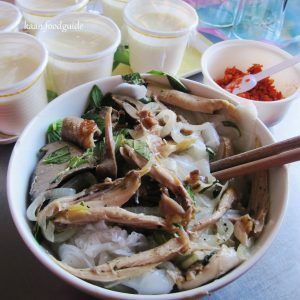 This is a special food in Da Lat that you should not miss. The meatball sauce with chicken or quail pancakes is a very good combination to make it tastier. Da Lat’s weather is a little bit cold, enjoying some hot pancakes is a great choice to enjoy great time in Da Lat. Address: 56 Tang Bat Ho street, Ward 1, Da Lat city. 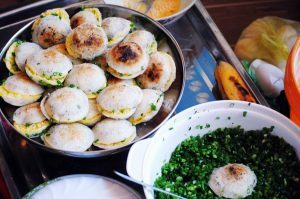 Steamed thin rice pancake is a famous food in Vietnam, but it is a little more different with the taste of this food in Da Lat. It is a good combination between this kind of pancake and internal organs of a chicken, and a little special fish sauce. 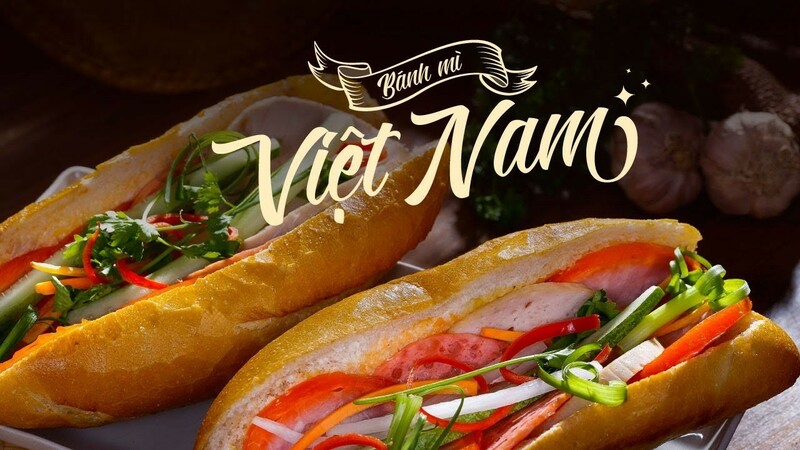 It is so tasty, just around 20.000 – 30.000 VND (1 USD/pax) for each. 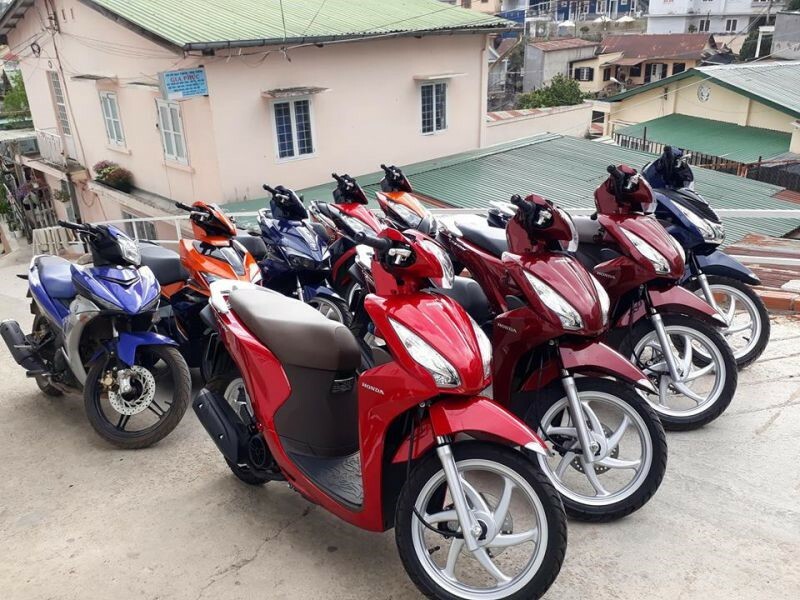 Address: 68 Phan Dinh Phung street, Da Lat city. This food is one kind of noodle which is made from 100% rice flour and there is some fish inside, the soup is so tasty. It will be one of your favorite local foods in Da Lat and make you unforgettable with its amazing taste. Address, 15 Nha Chung street, Ward 3, Da Lat city. One of regret things is to miss artichoke tea in Da Lat. Artichoke is a kind of flower which is Da Lat’s symbol. 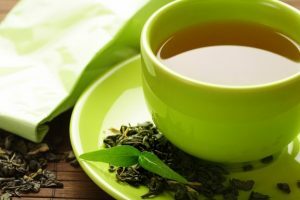 It is a little bit bitter, sweet ending taste and special flavor. It will be definitely a good friend to be enjoyable with you wherever you want to stay somewhere, talk to someone or do your contemplation. 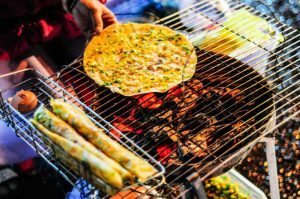 In the central, Da Lat night market has never been quiet, it is always bustling and noisy because of many people and many kinds of street food. 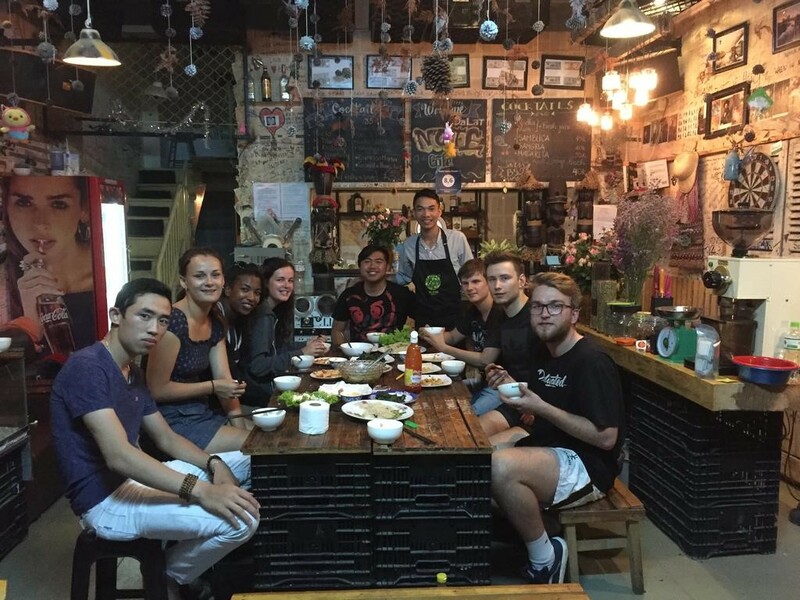 You just need to spend your evening and walk around here, you will be definitely super excited and happy with Da Lat’s cuisine and souvenirs. 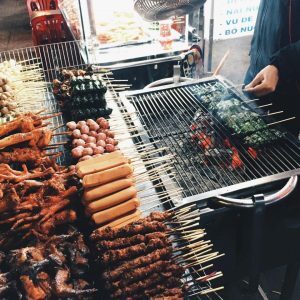 Especially, don’t miss barbeque, it is just around 5.000 – 10.000 VND per one, you will feel free to enjoy it without any worry about the price. 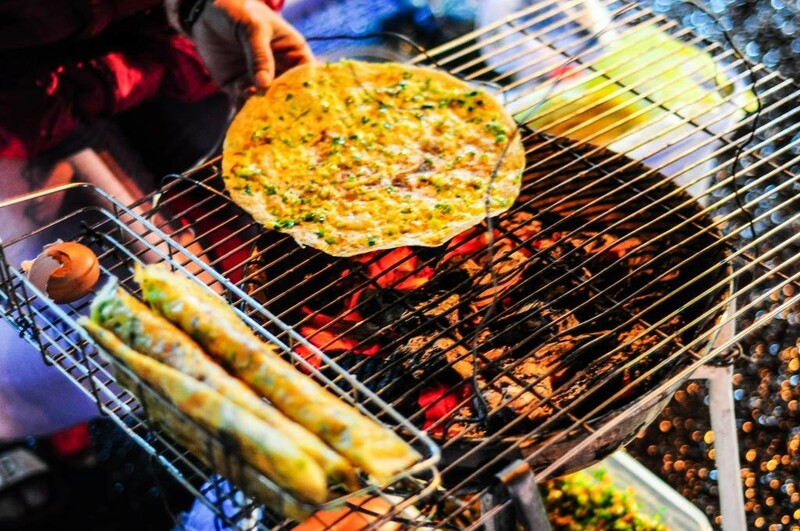 There is a kind of street food that you shouldn’t miss is grilled rice paper. It has many things inside such as eggs, shrimp, cilantro, pork…. It is a very common food for those who are a big fan of street foods. A cup of soy milk and some cake is one of the local people’s habit. They can spend a little time to enjoy it every time or everywhere in the whole day. The cold weather is a big reason to have some warm milk, it makes people feel slowly and relaxed. 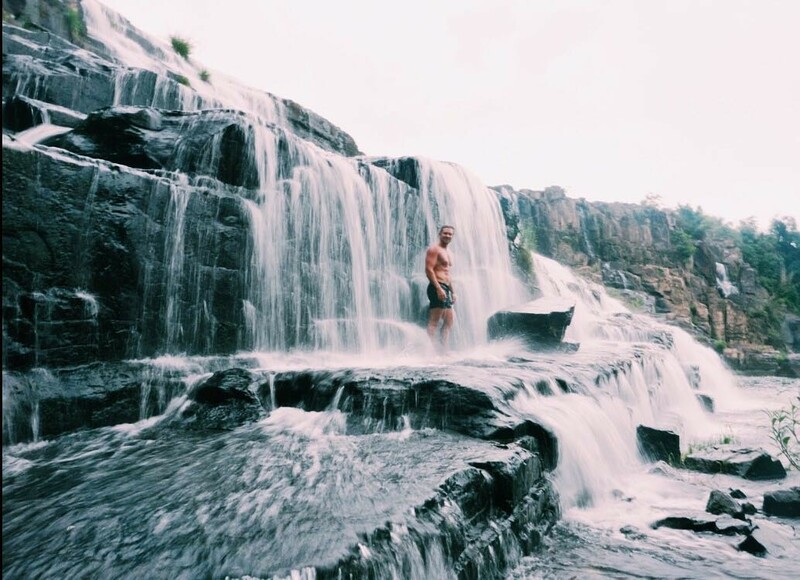 In Da Lat, don’t be rushed or do a lot of things, be slowly to explore this dreamer’s city. Don’t come and leave as something fugacious. This city is for loving, feeling and finding the greatest space and enjoy to the fullest in your trip.